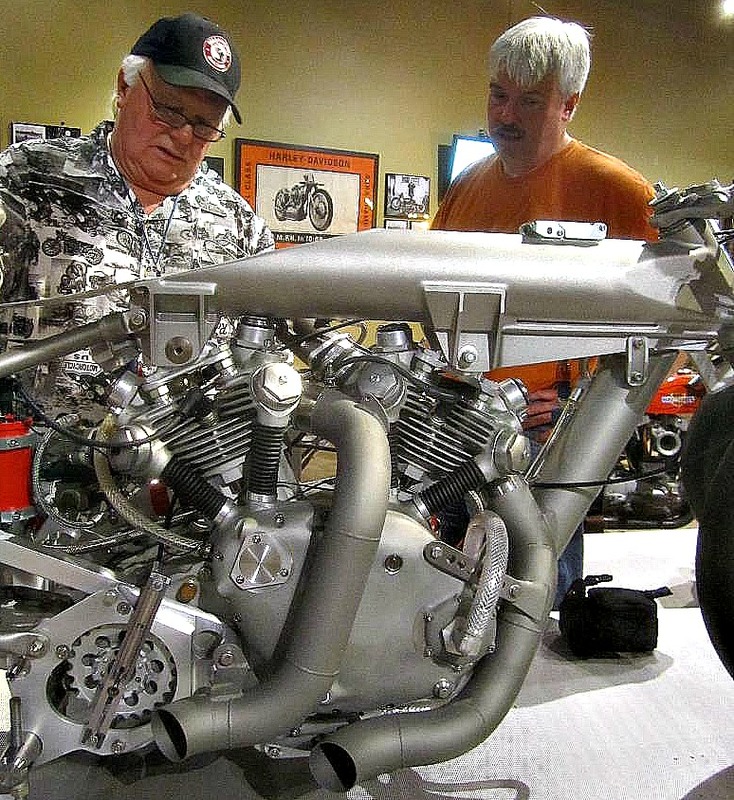 Have You Seen the Allstate Motorcycle Quarter MileStones Temporary Exhibit? Almost every part of the Vincent-powered BARN JOB is hand fabricated. 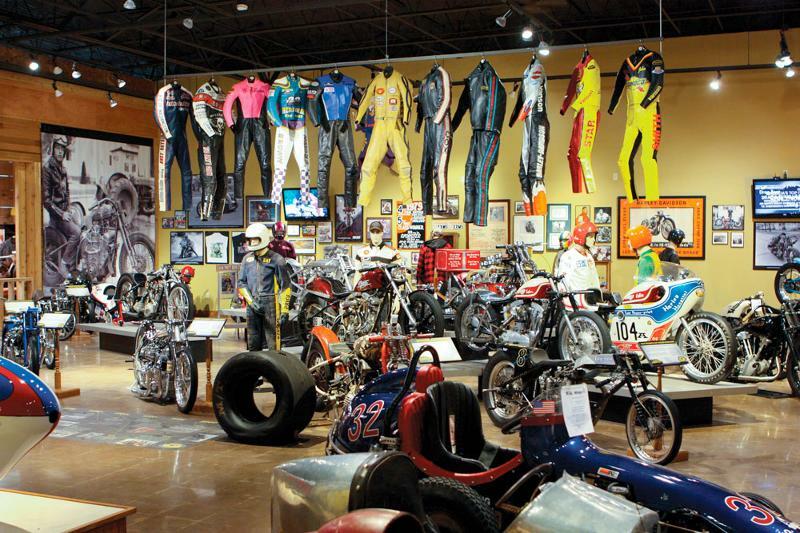 Speed equipment, leathers, trophys, win posters, photos, fantastic bikes and even the first slick to run 250MPH are what you'll see in the Allstate Motorcycle Quarter MileStones exhibit. The Allstate Motorcycle Quarter MileStones exhibit has been well received by thousands of Museum visitors and is open through next April 30, 2013. Over 20 great drag bikes, Indian, Ariel, Harley-Davidson, even E.J. Potter's home brew Chevy V8 bike! We hope you will be able to visit the Museum and take it in. In late April we will begin to dismantle Allstate Motorcycle QuarterMileStones getting the changing exhibit gallery ready for Grand National, the story of American flat track racing. The most all-American form of motorcycle racing is no doubt flat track. Born on horse tracks a century ago, man and machine still duel it out for the podium finish. But from 1954 to 1985, the GNC was especially full of excitement. These were the glory days when road racing finishing points were usually required to take the championship. Join us in the effort to tell this story. If you know the whereabouts of bikes, leathers, photos, posters even frames, forks and wheels related to pro level flat track racing, drop a note to Special Projects Director, Mark Mederski at: mmederski@nationalmcmuseum.org or call 614 551 0960. By the way, the author of two books on the GNC, Greg Pearson will join us as guest curator on this project. 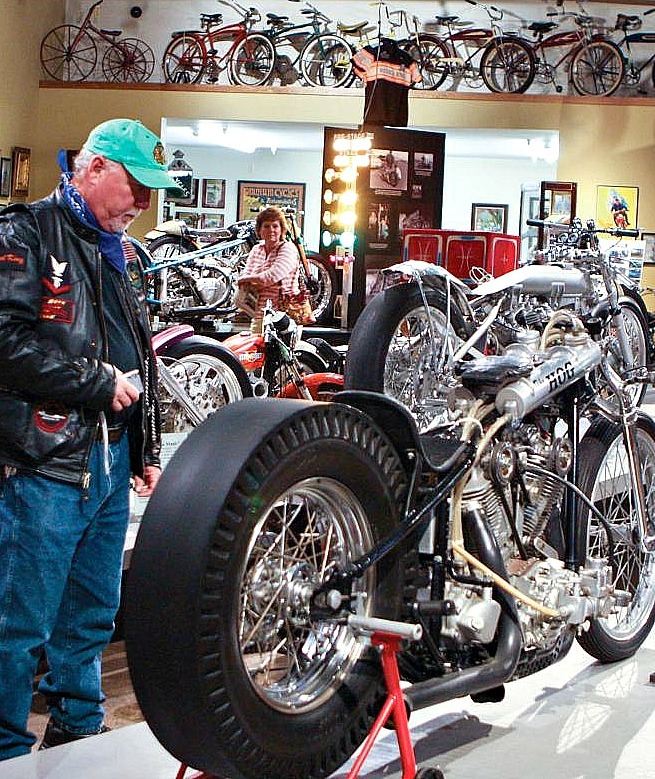 The GNC Flat Track exhibit will be completed in mid-May 2013 in time for the Vintage Rally 2013 at the Museum, June 8 & 9, 2013.